Open the doors for disabled children. To have access is to exist. 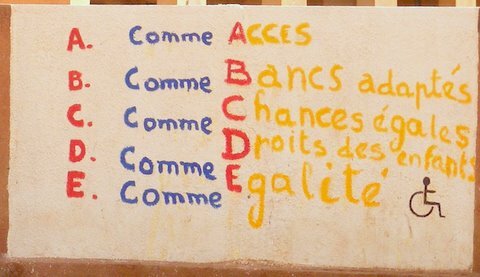 Let’s have a school without barriers. Nice. You don’t often see this kind of thing in Africa and any provision for the disabled is unusual. Many paraplegics have hand-cranked tricycles, or adapted motorcycles, like the Congolese band Staff Benda Bilili use. 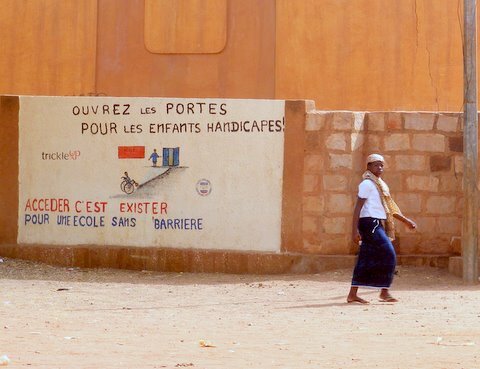 Of course, you also see many begging at traffic lights, but this is the first time I’ve seen an ‘access for all’ school in Africa. Amen to that! Keep up the good work folks!